The term ‘fat burner’ is used to describe nutrition supplements that are claimed to acutely increase fat metabolism or energy expenditure, impair fat absorption, increase weight loss, increase fat oxidation during exercise, or somehow cause long-term adaptations that promote fat metabolism. 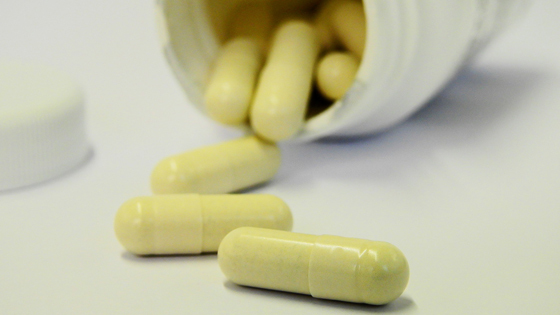 Often, these supplements contain a number of ingredients, each with its own proposed mechanism of action and it is often claimed that the combination of these substances will have additive effects. The list of supplements that are claimed to increase or improve fat metabolism is long; the most popular supplements being caffeine, L-carnitine, green tea, conjugated linoleic acid (CLA), forskolin, chromium, Yohimbe, Glucomannon and Raspberry Ketones to name just a few. We will cover some of these in this article but first lets me explain 2 terms that are often associated with fat loss or weight loss and fat burners. Lipolysis is the breakdown of lipids and involves hydrolysis of triglycerides into glycerol and free fatty acids. The following hormones induce lipolysis: glucagon, epinephrine, norepinephrine, ghrelin, growth hormone, testosterone, and cortisol. Think of fat burner supplements as the final 10% of your artillery used in the fight against fat. Let’s say that Diet is 70% to 80%, Exercise is 10% to 20% and fat burners are that final 10%, the final weapon being brought into the play to support all of your persistence and hard work to maximize the amount of fat loss that your body achieves throughout the fat loss period of your training. Therefore fat burners don’t work to their best effect when they’re used improperly. Usually, it’s because people don’t take into account the following four basic concepts for using a fat burner efficiently to lose weight. If you follow, the next fat burner you invest in may help you trim the fat and reveal that body you’ve been working hard to build. One of the biggest mistakes that many people make is thinking they can just take a fat-loss support supplement and weight-loss results will be theirs. They think the fat burner is the miracle solution they’ve been looking for. We often hear the question “do these work?” knowing already that the person asking the questions expectations of the product are unrealistic. Sticking to a calorie restricted diet is possibly 80 percent of your battle. If you can do it and stay consistent with it, then you’ve done the vast majority of the work. The rest is exercise, time, and you can get extra 10% help from a fat loss supplement. Fat burners can help enhance fat loss, but they’re only going to do so if a proper diet is in place. Fat burners work in a variety of ways. They can boost energy, help curb appetite, promote fat to be used for energy, and even increase your metabolism and core temperature so you burn more calories throughout the day. But, if you take a fat burner and then feast on junk food such as burgers, pizza, curries, sugary snacks and drinks, you won’t be seeing fat loss any time soon, if at all. Fat burners are the final weapon to bring to the fight against fat, they can help overcome sticking points, attack that stubborn fat, or speed up the a burning effects of the diet and exercise plan, but bring one weapon to the fight at a time, because the body is a fantastically effective creature of adaption, once it adapts to what you throw at it (restricted calories, exercise etc..) THEN bring out the fat burners. Take a hard look at your diet and determine if it fits your fat loss goal. To lose fat and reveal a toned physique you’ll need to be eating fewer calories than your maintenance level, getting lots of protein, and maintaining other clean and healthy eating habits with slow-digesting carbs ( unless your going Keto of course) , healthy fats, and lots of fresh vegetables. When you feel confident about your diet and in control of your nutrition environment you can start to explore fat burning supplementation. Stay realistic with your expectations. Some people believe if they’re using a fat burner, they should be able to melt pounds of fat off each week. Sorry but…not gonna happen. If you’re trying to lose fat, pill popping, even to excess, is not going to be enough. There just aren’t any safe, natural “fat burning” compounds powerful enough to, all on their own, cause meaningful weight reduction. In fact even the powerful non legal drugs won’t have such dramatic effects if the diet is still poor. Basic thermodynamics determine that you must burn more calories than you consume to lose weight. So how can taking a pill do more than 1 hour at the gym? We need all 3 combined to see results. While your rate of fat loss can be enhanced, you won’t be dropping 10 pounds in a week simply because you’re using the supplement. 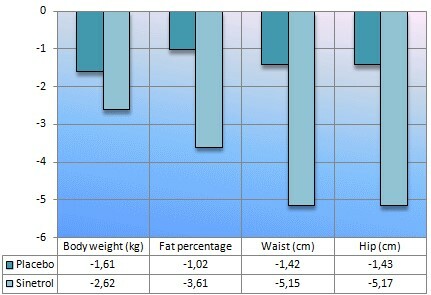 Remember: A more realistic but sustainable rate of fat loss is 1-to-3 pounds per week for average, healthy individuals. You can push this rate up to 4 pounds per week, but it’s not sustainable. Eventually, your body will hit a plateau and fat loss will slow. If you’re dropping weight too quickly, on a fat burner or not, you could be losing lean muscle mass. And unless you want to look like shapeless coat hanger instead of a toned, fitness model or bodybuilder, you should rethink your fat-loss plan. Fat burners are designed specifically to give you the proper doses of various ingredients to support fat loss. But that doesn’t mean that the more of the ingredients you take, the more results you’ll see. As with most supplements, there is a tipping point from being effective and gaining no more effect from taking more, so don’t waste your money and follow the instructions on pack. If you can’t start your day without a cup of coffee and you drink another 3-or-4 throughout your day, be careful about choosing a stimulant fat burner. Most fat burners, unless directly specified, contain caffeine or a caffeine-like substance, a stimulant. If you want to take a stimulant fat burner, watch your total intake of caffeine over the course of the day. If you’re mixing fat burners with multiple cups of coffee or any other caffeine-containing beverage, you could really burn out your adrenal response quickly. You could experience fatigue easier and have a harder time recovering from workouts. In the end, that equals slower results. One more point to make, fat is not “burned” its oxidized! The body needs oxygen to oxidize fat, which is why slow steady cardio has often been the choice of many bodybuilders as enough oxygen can be consumed whilst doing the cardio to oxidize the fat. OK so let’s take a brief look at some of more popular ingredients featured in fat burners and how they work. Caffeine accomplishes this last feat by increasing the amount of catecholamine’s in your blood, which are chemicals that mobilize fat stores to be oxidized. This, in turn, raises your body’s basal metabolic rate, which is the amount of energy it burns at rest. The more energy your body burns every day, the more bodyfat you can lose, and that’s why caffeine is an effective fat burner. The only 2 downsides to caffeine as a weight loss aid is it loses its effectiveness over time as you become desensitized to it, the second being that it cannot be used late in the day as it will likely keep you awake at night. Another way to make caffeine more effective is to co-ingest it with other natural substances that amplify its effects. For example, research shows that a molecule called naringin found in grapefruit juice can help caffeine remain longer in your bloodstream. The amino acid L-Ornithine has also been shown to maximize the effects of caffeine, as well as Teacrine which when combined with Caffeine give the user a longer but smoother effect, ( no peak stimulant effect and then a crash often experienced with caffeine) this is why both feature with caffeine in the PhD PRE-WKT BURN. Caffeine will not help you lose weight on its own, but when taken before aerobic exercise, can increase fat burning and help you exercise longer by delaying the onset of fatigue. Caffeine will not have any beneficial effect on anaerobic exercise. As an herb, green tea has been praised for its natural ability to aid the body in fat loss. The active ingredient in green tea that produces fat loss is catechines. Green-tea extract is one of the more natural options when it comes to giving your metabolism a boost. Containing plant-derived polyphenols it acts to increase your livers’ ability to process out fat. Green tea leaves are rich in chemicals known as “catechins,” which are responsible for many of the beverage’s health benefits. Catechins accomplish this by blocking an enzyme that breaks down adrenaline and noradrenaline, which are chemicals that mobilize fat stores and increase basal metabolic rate. The inhibition of this enzyme allows these fat-burning chemicals to remain in your blood for longer periods of time, which increases the amount of fat you lose. Carnitine plays a key role on the mobilization of body fat for fuel in the body. It is for this reason that it has become popular as a dietary supplement. The theory is, the more L-carnitine you can ingest, the more fat your body will burn because the L-Carnitine transports the fatty acids to the mitochondria where the faty acids are oxidised for fuel, thus the bodily levels of L Carnitine are a rate determining step in this process. Athletes like it because a greater dependency on fat for fuel would spare precious carbohydrates, increasing aerobic endurance. L-Tyrosine is an amino acid which in the body is used for the creation of the neurotransmitters adrenaline and noradrenaline. In addition to these, tyrosine is also used in the body to create dopamine. And a final layer that’s beneficial for your fat loss goals, tyrosine is used by the body to make the thyroid hormones t3 and t4, both essential to metabolism. When adrenaline and noradrenaline go up, so does your heart rate and body temperature. With this increase comes a bigger caloric usage, and of course you want this reaction to occur – it’s the root of the workings of all thermogenic ompounds. It also plays a role in helping to reduce appetite. When your dopamine levels increase, you have a greater sense of well-being, and the body’s stress hormones are also reduced. This will allow you to not only be in a better mood, and allow you to train with greater focus and clarity, but you’ll also be able to recover better as well post workout. And the final benefit of l-tyrosine, the thyroid’s usage to create t3 and t4 has huge implications in aiding with fat loss. As you diet (and the longer you do) the body’s production of t3 can become greatly reduced. So boosting the body’s ability to at least try to bring levels a little bit back up to baseline can find you ploughing through calories once again as your metabolism surges. Studies have shown that including tyrosine in a fat burning stack can increase fat loss to a great degree. 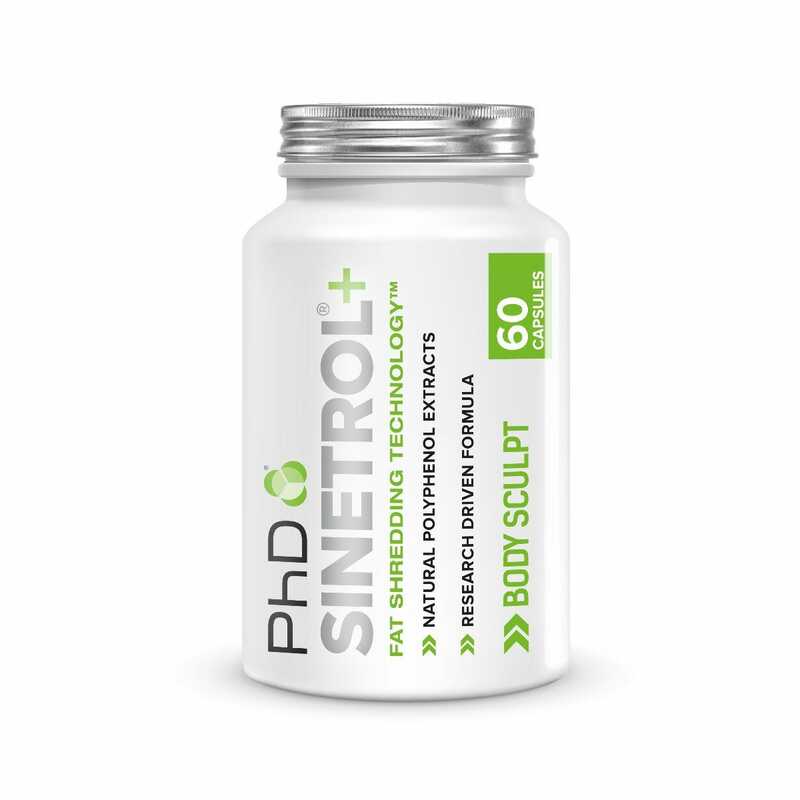 Sinetrol+ contains no stimulants like synephrine or octopamine. It’s made from the peel of citrus fruits, and is rich in polyphenols. In a controlled study, subjects took 450-mg capsules at breakfast and lunch every day. So in total they consumed 900 mg Sinetrol a day. The trial lasted 12 weeks. 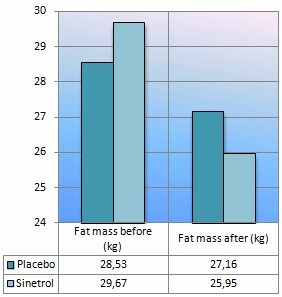 The subjects in the Sinetrol group lost more weight and more fat than the subjects in the placebo group. 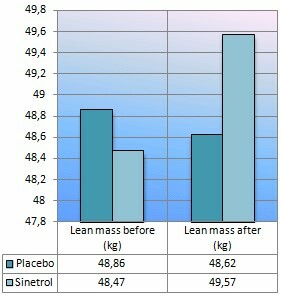 In terms of change in body composition, the Sinetrol users lost about 3.7 kg fat and the placebo takers only 1.4 kg. 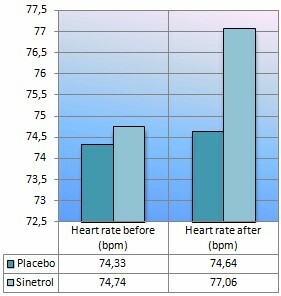 At the same time the lean body mass of the Sinetrol users should have increased by about 1.1 kg. The supplement had almost no side effects, although the subjects’ heart rate increased slightly and there was a sharp increase in free fatty acids in their blood. The latter is probably a consequence of the enzyme PDE in the fat cells being inhibited by the citrus phenols. This leads to an increase in the concentration of the second messenger cAMP, which means the fat cells listen better to pep hormones like adrenalin. These are the hormones that induce fat cells to release their contents into the bloodstream. 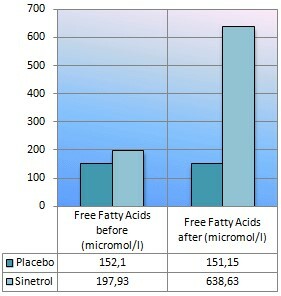 Its pretty tricky to ge fat cells to release fatty acids to be used up for fuel – this is why Sinetrols unique mechanism is so valuable. In the Sinetrol group the concentration of the antioxidant enzyme SOD rose, as did that of glutathione [GSH], a peptide that detoxifying enzymes need. The concentration of malondialdehyde [MDA], a marker for free radical activity, decreased. The researchers also looked at the effect of Sinetrol on liver and kidney function, insulin sensitivity, cholesterol and blood pressure, but found no noticeable effects. These substances supposedly inhibit the working of the enzyme phosphodiesterase [PDE] in the fat cells. PDE is the enzyme that converts cAMP into AMP. So less active PDE means more cAMP. We need more cAMP if we are going to tease more fatty acids out of the fat cells. When hormones like adrenalin interact with the fat cells, cAMP makes sure that their signal is transferred to the enzymes that are responsible for getting the fatty acids out of the fat cells. Less active PDE in the fat cells therefore means that the fat cell releases more fatty acids into the bloodstream – where the body can oxidise them. Conjugated Linoleic Acid is a slightly altered form of linoleic acid (LA), an omega-6 fatty acid important to human health. CLA cannot be produced by the human body, but it can be obtained through foods such as whole milk, butter, beef, and lamb. Conjugated linoleic acid (CLA) is a potent anti-oxidant, anti-carcinogen, and anti-catabolite, as well as a powerful immune system enhancer Some of the commonly known benefits of CLA supplementation are fat burning, building and retention of lean muscle, and is a cancer fighter. CLA supplementation was also shown to improve the lean mass to body fat ratio, decreasing fat storage, especially on the abdomen, and enhancing muscle growth. CLA achieves this reaction by it reduces body fat by enhancing insulin sensitivity so that fatty acids and glucose can pass through muscle cell membranes and away from fat tissue . This results in an improved muscle to fat ratio. Compelling evidence also indicates that CLA can promote a more efficient metabolic function as well as to reduce body fat. The unique mechanism by which this fatty acid protects against disease makes it an important addition to any supplement program. For optimal CLA production, cows need to graze on grass rather than be artificially fattened in feed lots. Studies and research findings have shown that the meat and milk form grass-fed cows contain up to four times as much CLA as their non-grass-fed counterparts, hence why PhD Nutrition only use grass fed whey and milk protein in our products. Approximately 3.4 grams of CLA per day is the level needed to obtain the beneficial effects of CLA on body fat. Studies using this dosage have shown that CLA doesn’t make a big fat cell get little. What it rather does is keep a little fat cell from getting big. Because we are creatures of adaption, It is often cited that an effective strategy to fat loss is to bring one weapon to the battle at a time, whether that be dropping calories gradually, increasing cardio gradually and introducing a fat burner into the mix only when a plateau has been reached, rather than throw everything at it all at once. This is a sound strategy, it kind of makes sense, but in some respects unnecessary. There are some fat burners that the body will not look to adapt to and therefore offset any benefits gained from them, these are usually the non stimulant ones and can be taken long term and throughout the day. Because they have different mechanisms, PhD CLA, PhD Sinetrol +, PhD L Carnitine and PhD Lean Degree Stim Free can all be taken simultaneously, long term and throughout the day as a multi pronged attack. However those fat burners that contain Caffeine, Citrus Aurantium such as PhD Lean Degree Max Strength should be cycled, a popular cycle is 2-3 weeks on and 2-3 weeks off; make sure that if you’re aiming for a specific target date ( such as a holiday for example) that the last 2-3 weeks are cycled ON, and work backwards from there. Thermogenic stimulant fat burners such as PhD Lean Degree Max Strength are ideal for morning pre exercise use, but you can also use CLA, Carnitine and Sinetrol at these times too, but if you rain in the evening, and value your sleep (which you certainly should if you want to lose body fat) stick to using the non stimulant fat burners pre exercise. One more thing to note before you go out and buy ALL of the fat burners in the PhD range. Different people respond to each supplement differently. We are all unique and some of the mechanisms by which these fat burners operate may not be suited or needed in each and every individual. Some supplements work better than others for some people.